For fifty years, Howard Greene & Associates has advised students and their families on selecting the right college, independent boarding or day school, or graduate school to attend. Our goal is to help students identify and gain admission to those institutions that will provide the environment in which they will thrive and succeed. Our accumulated experience has established us as experts not only in the field of college and secondary school admissions, college transfer admissions, and graduate and professional school admissions, but also in administration and governance in independent schools. Educators and corporate managers have utilized our expertise to advance their institutions. 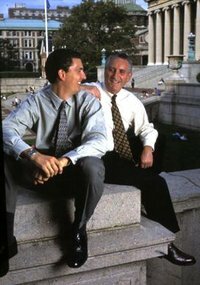 Howard Greene and Matthew Greene, assist families and institutions across the country and around the world from their offices in Westport, Connecticut and New York City. We invite you to explore our site and to contact us with questions and inquiries.